Socks Proxy Scanner is an application that helps you find SOCKS proxy servers. 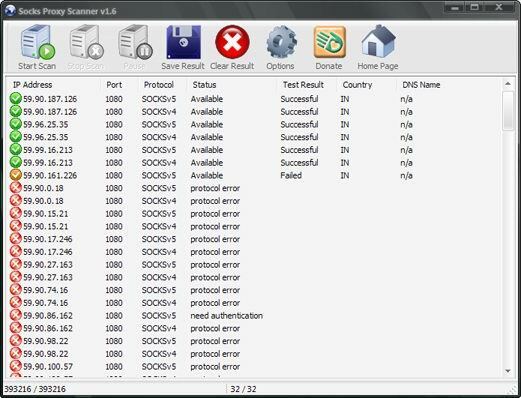 Socks scanner can scan network up to 10,000 IP addresses per second. It's really fast socks scanner that uses SYN method of scanning. This program will help you find a socks list and save it to text file.